Bauer Supreme Elite “Exclusive” Junior Shoulder Pads | Sports Etc. The Supreme Elite Hockey Shoulder Pad is about value, comfort and the ultimate in added protection. What our hockey specialist experts have done here is taken many of the features you would normally find on the Supreme 150 and integrated them flawlessly onto this best-in-value hockey shoulder pad. Foam is added to the rib panel pulled from the Supreme 170 shoulder pad to increase the protection of the shoulders from impact. Proper protection is about the customization of your equipment to your unique body shape. This is why also have an adjustable bicep guard to give you that full protection in a customizable fit. 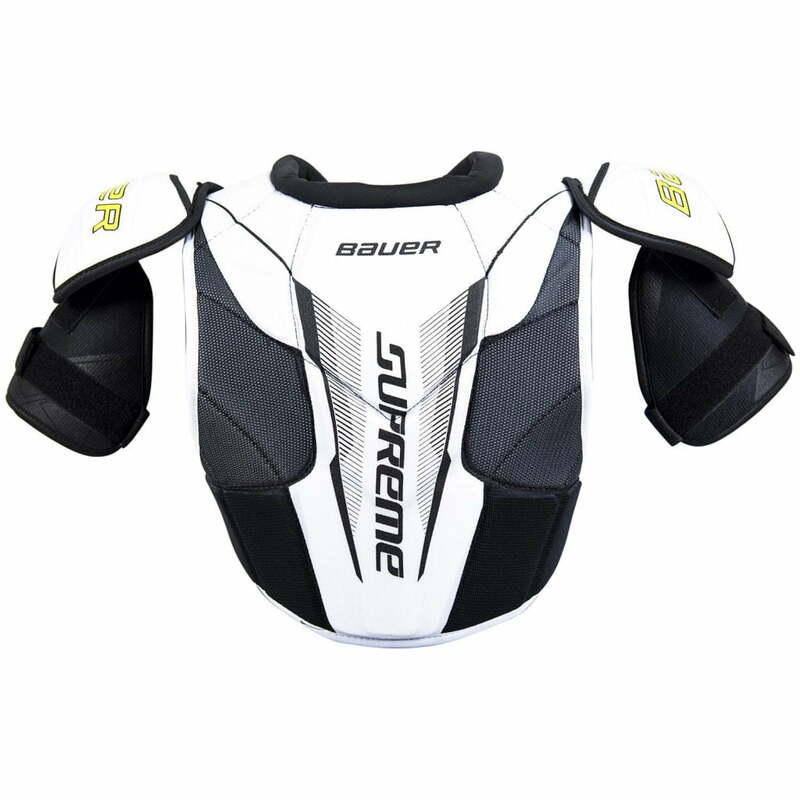 The Bauer Supreme Elite shoulder pad is the best value in the market today. Available exclusively at Source For Sports retailers. 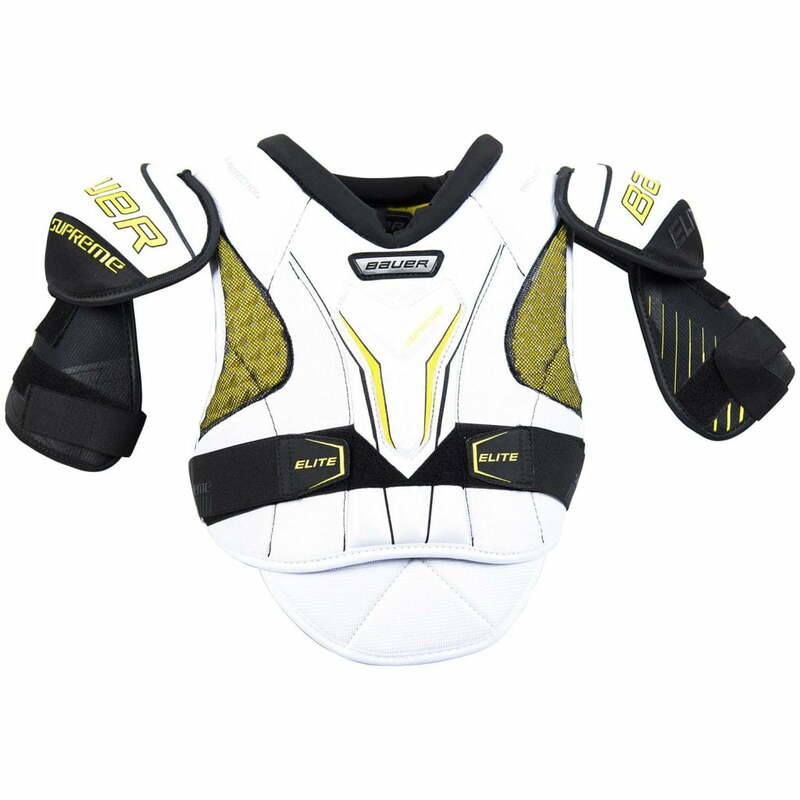 Sports Etc Performance To Value Rating– 9 Out Of 10– When your game calls for the best protection available this is the shoulder pad for you. All the high-end features in a shoulder pad at a lower “exclusive” price.